With the boom to the right and the engine/pump compartment behind the cab, excavators have limited lines of sight behind and to the right rear of the machine. 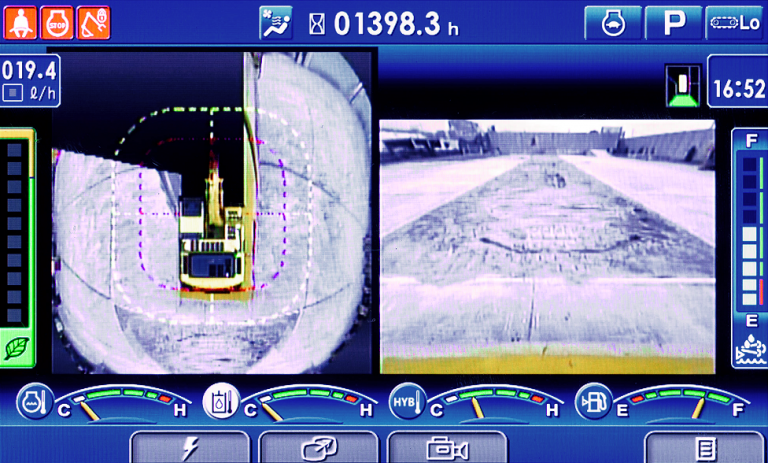 Komatsu’s solution is a multi-camera system that gives operators a birds-eye view of the area around their excavators. The company has made rear-vision cameras standard on its excavators for the last 10 years and also offered a second optional camera that provided a camera view of the right rear area. But recently they decided to add a three-camera option on small excavators and a four-camera option on the bigger models. The multi-camera views are digitally stitched together to give you a complete look around the machine in real time. It’s called KomVision. 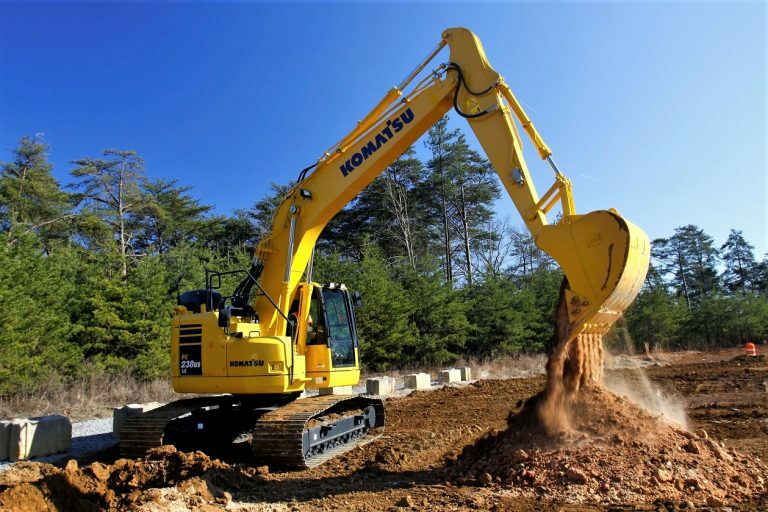 The cameras pick up 300 degrees for standard excavators and 240 degrees with short tail excavators. Those viewing angles, combined with the operator’s sight lines from the cab yield a 360-degree field of vision. In addition to the wrap around views, the new system also shows you via a series of lines, the location and path of the machine’s counterweight, says Moncini. These work just like the backup cameras in today’s cars, showing you where the rear bumper is headed and how close it is to the nearest object. The cameras are located on the top left, rear and right sides of the rear compartment and provide a broad field of view. The cab monitor displays the bird’s eye view on the left and a selectable single camera view on the right. If desired, the operator can change to a full-screen image of any individual camera.